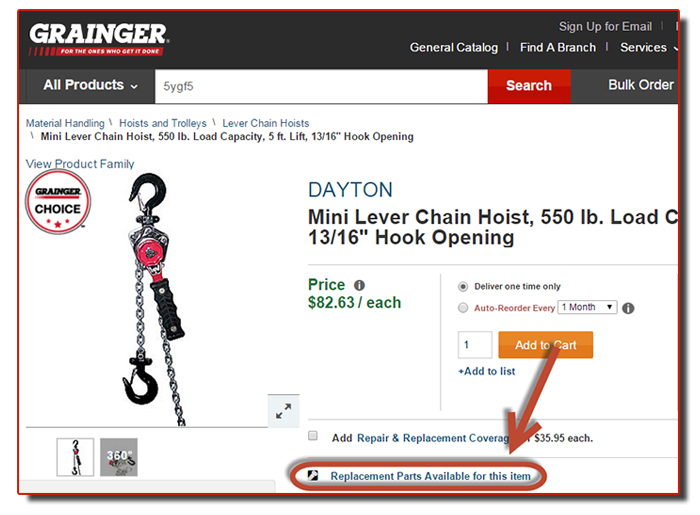 Part Center has the parts you need to get back on the job. Finding your Replacement Part is easier than ever! Do you know the part's model number? 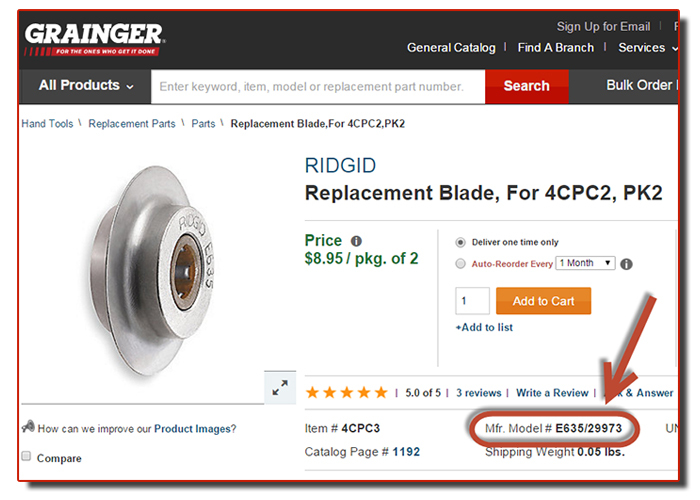 Enter the model number in the Grainger.com search box to be directed straight to the part. Don't have the part's model number? No problem! 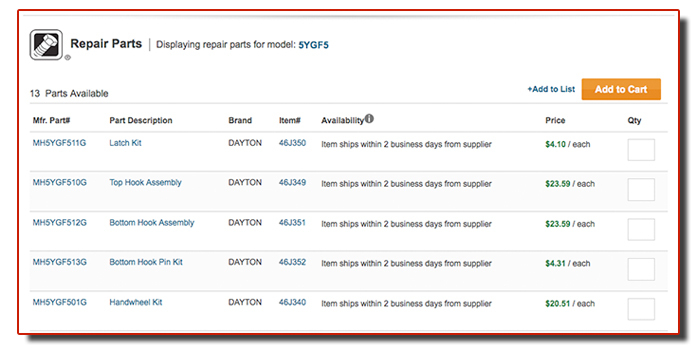 You can also enter an item’s model number in the search box to be directed to a list of parts that fit that item.